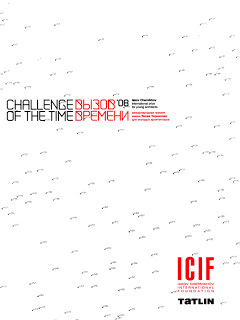 MATERIALECOLOGY was nominated to participate in Challenge of the Time Iakov Chernikhov Competition. Nominees include Lynn, Mayer H., R&SIE(N), Adjaye, FOA, Yoon, MOS, Office DA, SHOP, SITU Studio, Wiscombe, and many more. Curators and jurors were Ricardo Scofidio and Elizabeth Diller among others. Junia Ishigami (Tokyo, Japan) was selected as laureate. The publication is out and includes many challenging manifestos in the spirit of Russian Constructivism, Chernikhov's visions (and Pushkin'sAwakening).